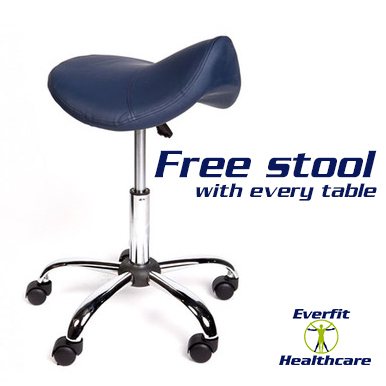 The Everfit Healthcare 5 section with dual motor option is the perfect all rounder, designed for medical & various allied health treatment uses. It is also perfect for the practice of massage and Chinese Medicine with the arm section and postural drainage. The 5 section treatment table is used by professionals in a wide range of settings. Great value -we purchased three tables and well worth the wait -thank you! !